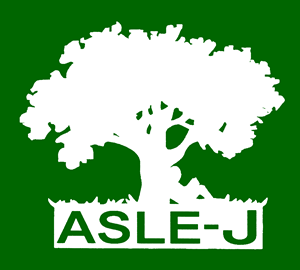 Founded in May 1994, the Association for the Study of Literature and Environment in Japan (ASLE-Japan) has been developing intellectual communities of teachers, students, journalists, writers, artists, and scholars, who share an interest in issues of literature and environment. In fostering works which explore literary and cultural representations of relationships between humans and the natural/social environments, ASLE-Japan holds an annual conference, publishes its house journal Literature and Environment, and issues biannual newsletters. ASLE-Japan welcomes you to participate in our interdisciplinary studies of literature, culture, and the environment.